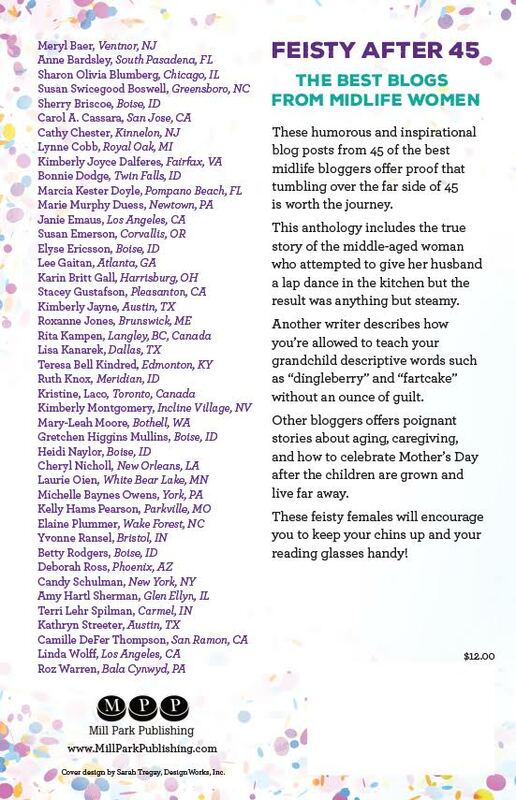 Eagle, ID – Mill Park Publishing of Eagle, Idaho announces the premiere of the anthology Feisty after 45 – The Best Blogs from Midlife Women. The book features 45 midlife authors from across the country and Canada, and topics include humor, inspiration, travel, and caregiving. More than 200 entries were received. Mill Park Publishing has enabled 70 women to become published authors. The company is owned by author and syndicated blogger Elaine Ambrose. Find more information at www.MillParkPublishing.com. The paperback book Feisty after 45 retails for $12 and is available now on Amazon.com. The eBook version is $2.99 and available soon on Amazon, Nook, KOBO, IBooks, and Google Play.